Essential psychedelic cumbia album. 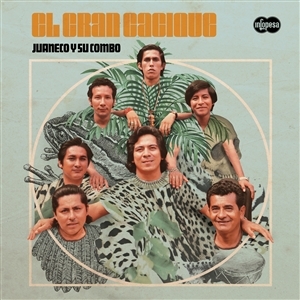 "Lose yourself to the unique guitar riffs, frenetic keyboard notes and entrancing percussion of the hypnotic first album of Juaneco y Su Combo. An iconic LP reissued for the first time in 46 years that will surely reignite the psychedelic craze one more time".Alberto Marav (Original LP Producer)Peruvian Psychedelic Chicha Classic LP originally issued in 1972 and remastered from the original tapes of the legendary Infopesa label.